The 2017 Austrian Grand Prix at the Red Bull Ring in Spielberg was the scene of a very special meeting. Talent, commitment, and technical knowledge are the key to success in Formula 1 motor racing, and the same is true for apprentices and junior technicians in the voestalpine Group when speaking of successfully completing their apprenticeship and beginning their professional life. Thus, appropriately enough, voestalpine organized a personal Meet & Greet with Formula 1 drivers Max Verstappen and Daniel Ricciardo for Upper Austria’s best apprentice and for a junior technician from Bunschoten (Netherlands) who will be participating in the WorldSkills 2017 competition, in recognition of their outstanding performance. Was this a meeting of future world champions, perhaps? Marco Quené, a CNC milling technician from voestalpine Automotive Components Bunschoten, took fifth place in EuroSkills 2016, following an intensive preparation period. His score of 517 points out of a possible 600 won him the Medal for Excellence in his category, which means he will be Dutch representative at WorldSkills 2017 in Abu Dhabi in October, with a good chance of being among the winners. 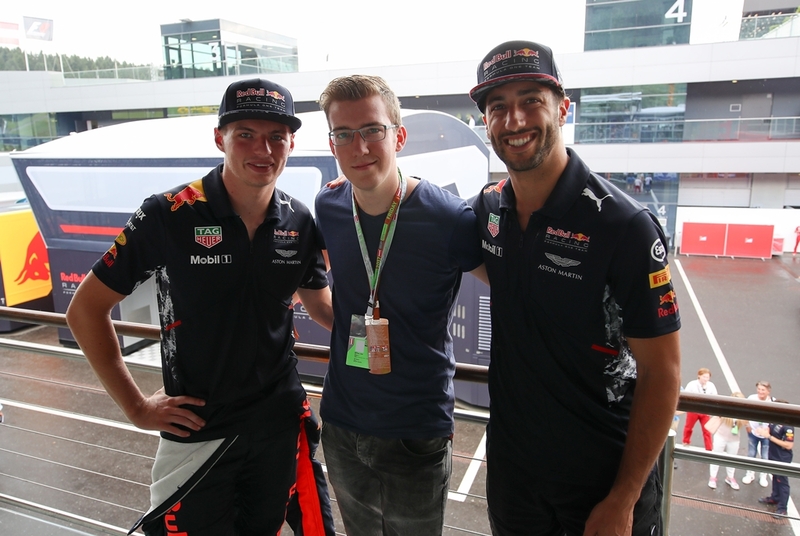 He found the Meet & Greet with Formula 1 driver and fellow Dutchman Max Verstappen an excellent source of motivation, and the racing driver wished him the best of luck for the upcoming event. Marco Quené, voestalpine Automotive Components Bunschoten, meets Max Verstappen, Red Bull Racing Team. "The weekend in Spielberg and Formula 1’s unique atmosphere were very impressive. Meeting top driver and fellow Dutchman Max Verstappen, who is one of the best Formula 1 drivers, in person was an unforgettable experience." For the voestalpine Group’s Steel Division, Georg Wahlmüller (electrical engineering), along with Julian Aigner and Jürgen Anzinger (mechatronics), will also be participants at WorldSkills 2017 in Abu Dhabi. These junior technicians qualified via the Austrian national competition in 2016. Manuel Jungwirth, a materials technology apprentice at voestalpine’s Linz site, delivered an outstanding performance and has not only taken the first place in his category, but also was the overall winner with the highest number of points and can be proud having achieved the title ‘Upper Austria’s Best Apprentice 2017’. Manuel Jungwirth, Upper Austria’s Best Apprentice 2017, at the Grand Prix in Spielberg. 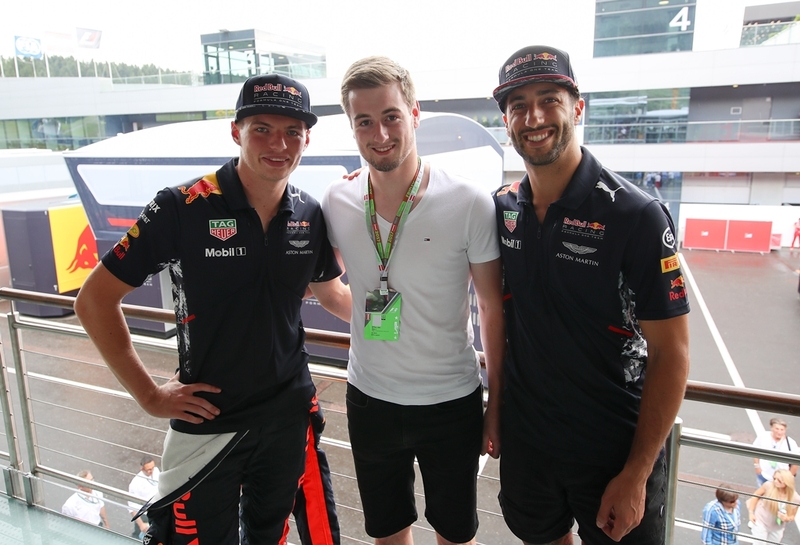 Jungwirth too was given the opportunity to spend the Grand Prix weekend in Spielberg and meet the Formula 1 drivers Max Verstappen and Daniel Ricciardo, both of whom race for Red Bull. "After I came in overall winner of ‘Upper Austria’s Best Apprentice 2017’, the invitation to the Austrian Grand Prix in Spielberg was a great surprise. It was hugely enjoyable to get a feel for Formula 1 at such close quarters." The voestalpine Group is currently training 1,320 apprentices worldwide (around 800 of them in Austria); training apprentices requires an investment of around EUR 70,000 per apprentice. voestalpine is Austria’s most important provider of industrial apprenticeships, and in addition provides its apprentices with active support and participation in national and international competitions.